Google Earth - CIS 4372 HCI and Data Viz. Google Earth is a geographic information system produced by Google. It is installed on a users system as a client which then obtains geographic data from Google's servers via the internet. 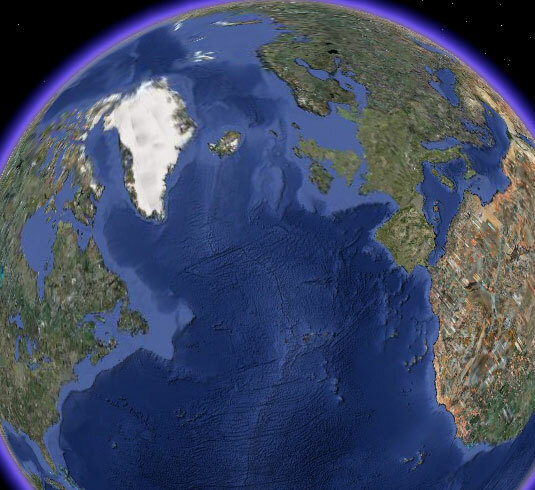 The mouse control of Google Earth is fairly intuitive to anyone that is used to a web browser. To get the most out of this software a user must become familiar with how to manipulate the various layers and personal locations. Overall the interface is very usable for novice and experienced users. Screenshot of Google Earth image.